WTI loses more than 2% on Monday. US Dollar Index leaps above the 97 handle. After spending the majority of the day below the 1.33 mark, the USD/CAD pair started to climb higher fueled by the broad-based USD strength. As of writing, the pair was trading at 1.3312, gaining 0.27% on a daily basis. Although there were no macroeconomic data releases from the U.S. on Monday, the greenback continued to outperform its rivals with investors struggling to find any other currencies that are worth investing in at the current market. 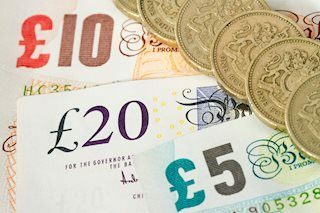 Both the euro and the GBP, two of the USD's major rivals, are facing significant problems with regards to the economic slowdown in early 2019 to bring in more demand for the buck. At the moment, the US Dollar Index is at its highest level since last week of December, adding 0.4% on the day at 97.05. On the other hand, crude oil sell-off gained momentum on Monday with the barrel of West Texas Intermediate dropping below $52 with a daily loss of more than 2% to make it even more difficult for the commodity-sensitive loonie to show resilience against the greenback. In the remainder of the week, the Canadian macroeconomic calendar won't be featuring any significant data releases and the markets' USD valuation and crıdeoil performance are likely to continue to drive the pair's price action. The pair could face the initial resistance at 1.3350 (50-DMA) ahead of 1.3375 (Jan. 24 high) and 1.3420 (Dec. 17, 2018, high). On the downside, supports are located at 1.3260 (daily low), 1.3215 (Feb. 7 low) and 1.3125 (Feb. 6 low). 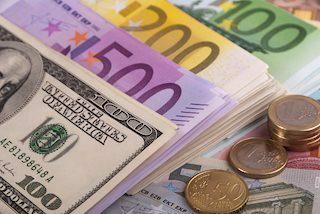 EUR/USD is trading around 1.1150, the lowest since June 2017. The US Dollar continues dominating the board while the euro is still reeling from the weak German IFO data. 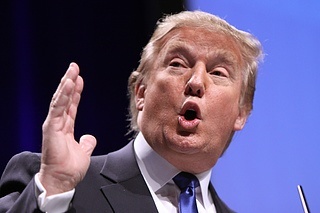 US Durable Goods Orders are next. 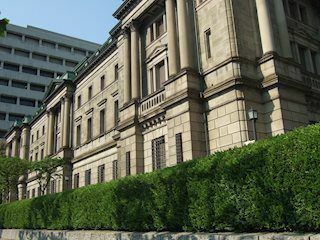 Bank of Japan (BOJ) kept key policy tools unchanged and revised lower its inflation and GDP forecasts for the fiscal year 2020/21 earlier today. So far, however, the yen sellers have not made their presence felt, leaving the USD/JPY pair in the red at 111.95. Gold is taking the rounds near $1276 while heading into the European open on Thursday. 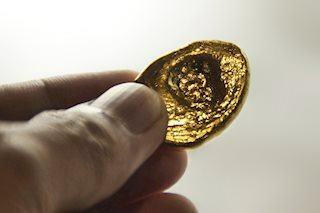 The yellow metal has been on recovery from Tuesday when it plummeted to the 2019 lows.